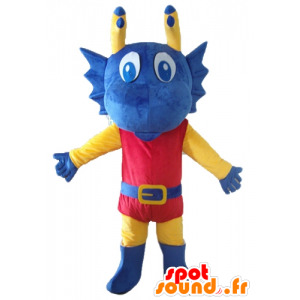 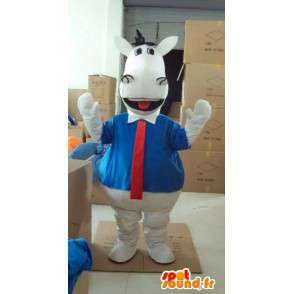 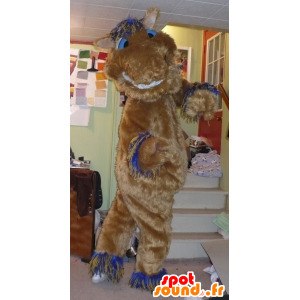 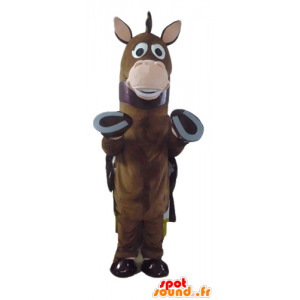 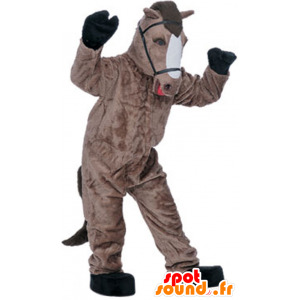 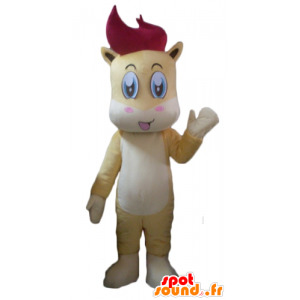 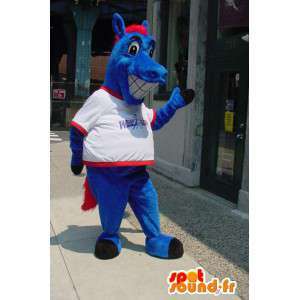 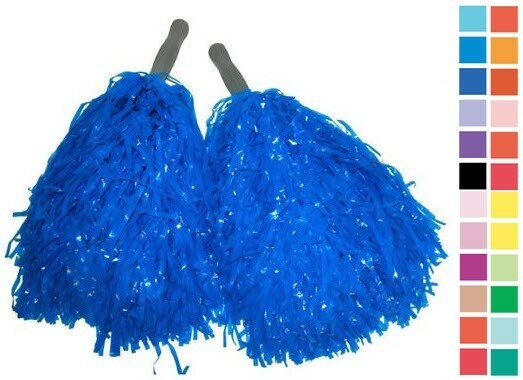 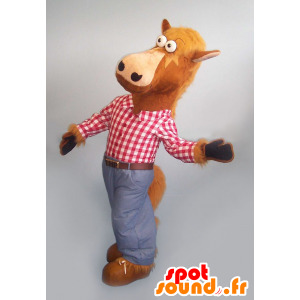 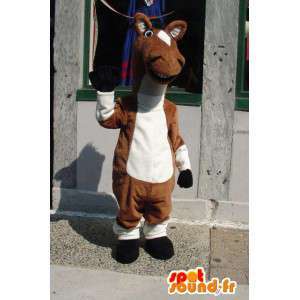 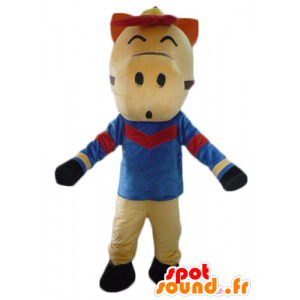 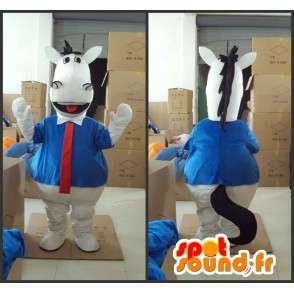 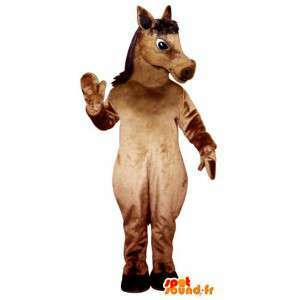 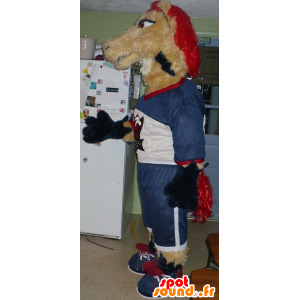 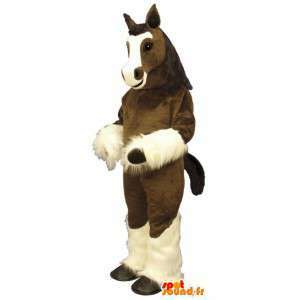 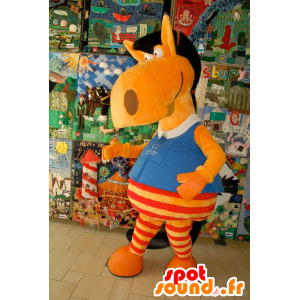 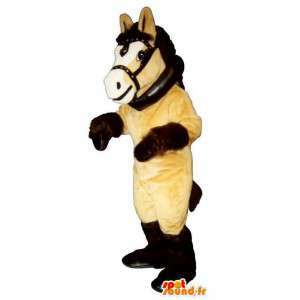 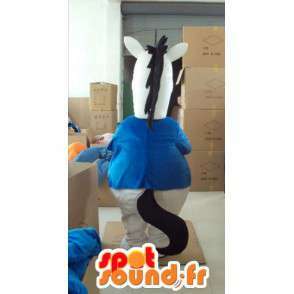 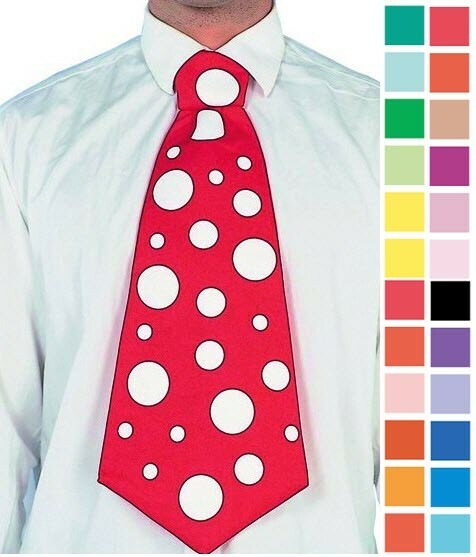 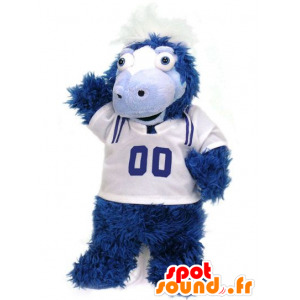 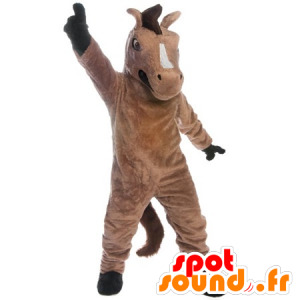 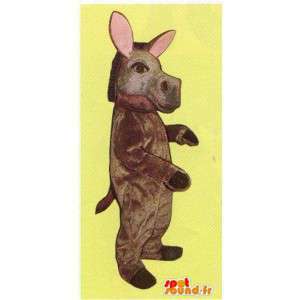 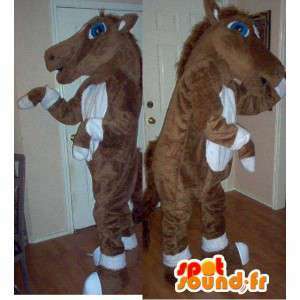 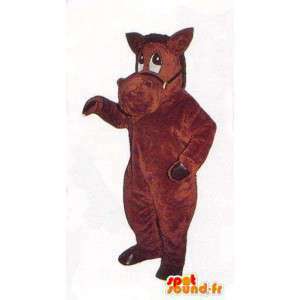 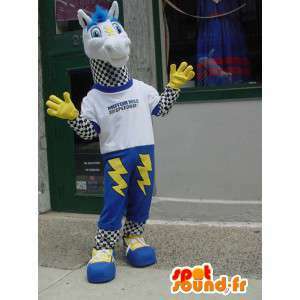 Mascot of cheval blanc with his blue t-shirt and his red tie set for sale on our platform of online sales of costumes. 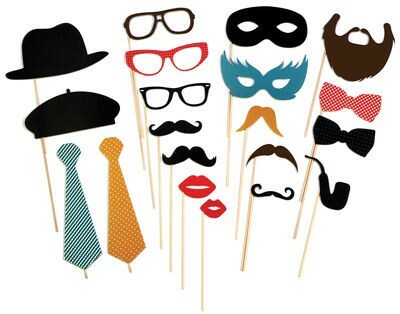 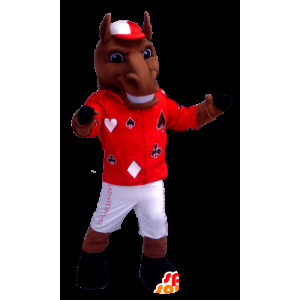 With our horses, easily customizable costumes, organize crazy parties or marketing or business development for any business activities. 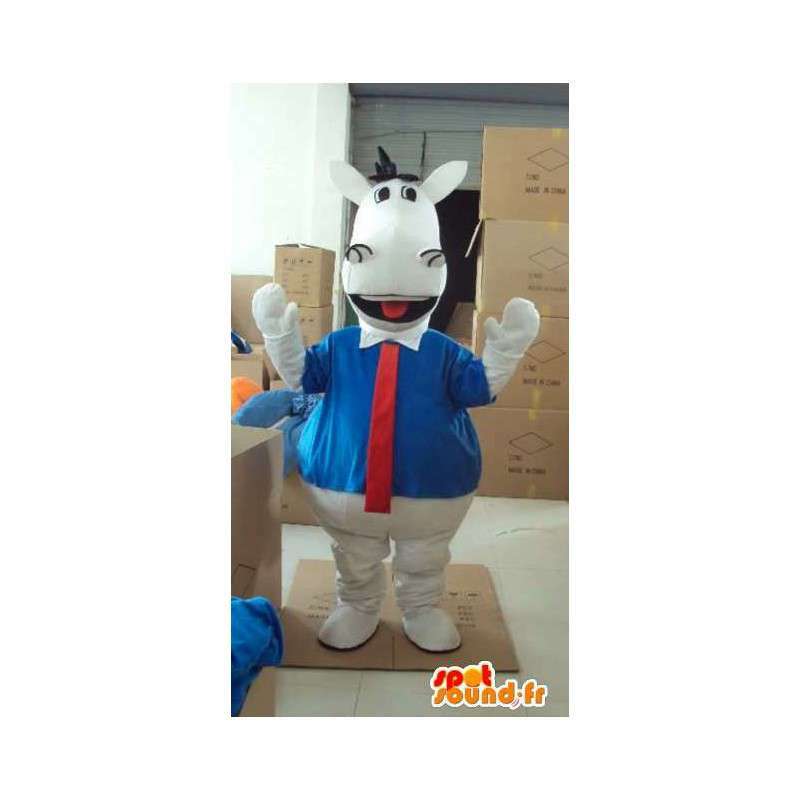 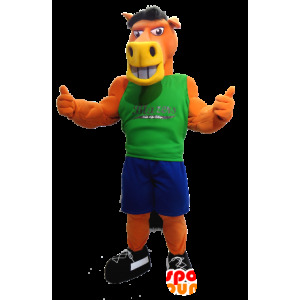 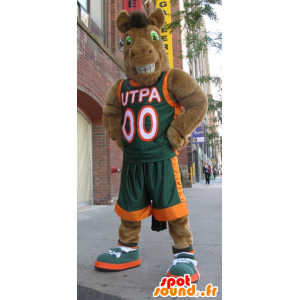 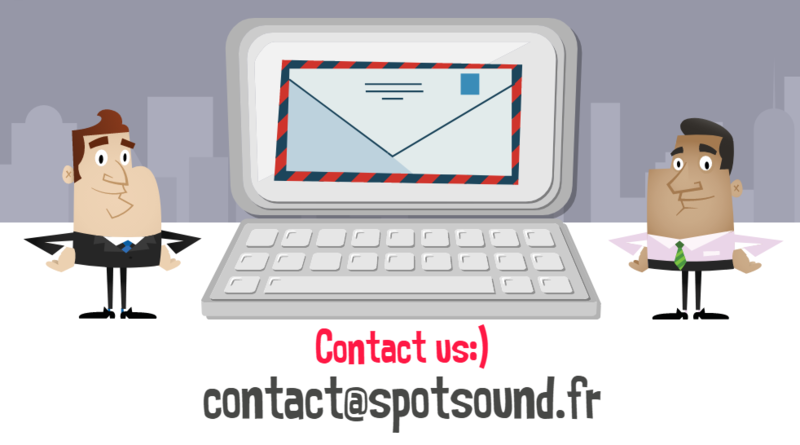 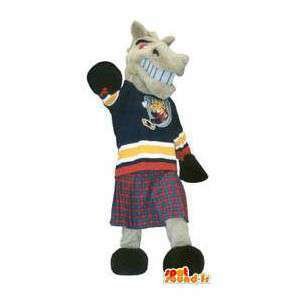 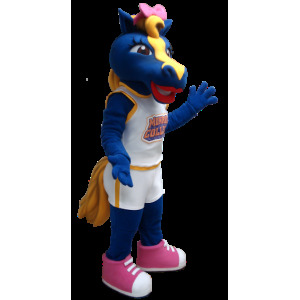 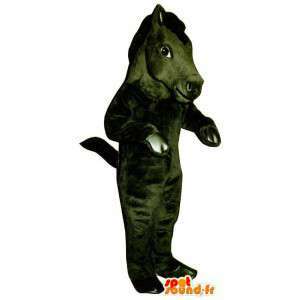 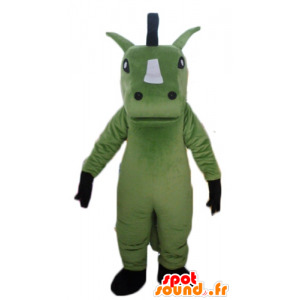 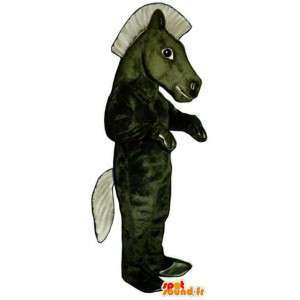 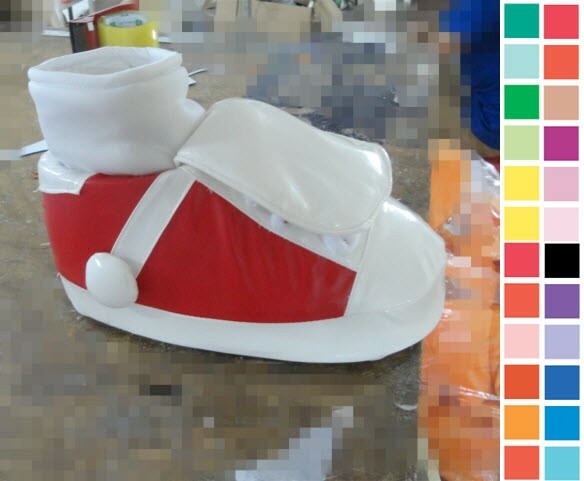 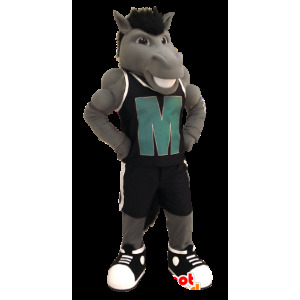 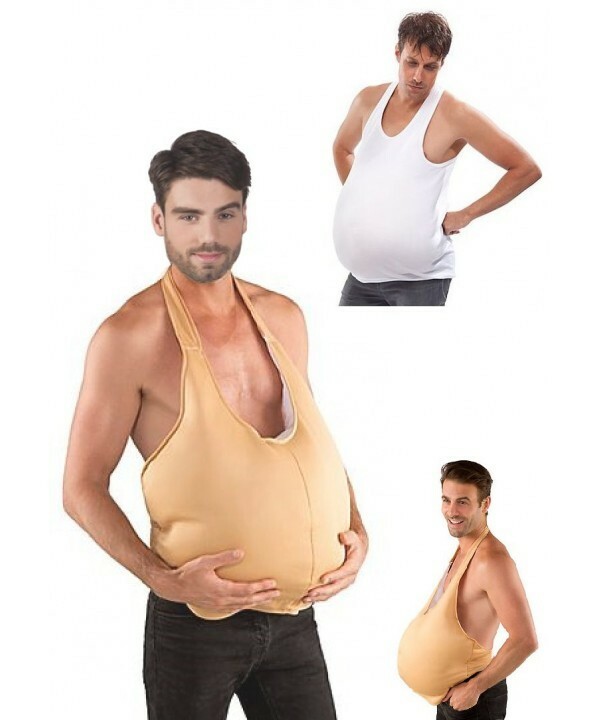 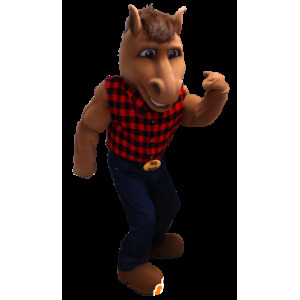 Our mascots will be delivered quickly and around the world quickly.